**Note: the measurements given below are for 1:24 scale. 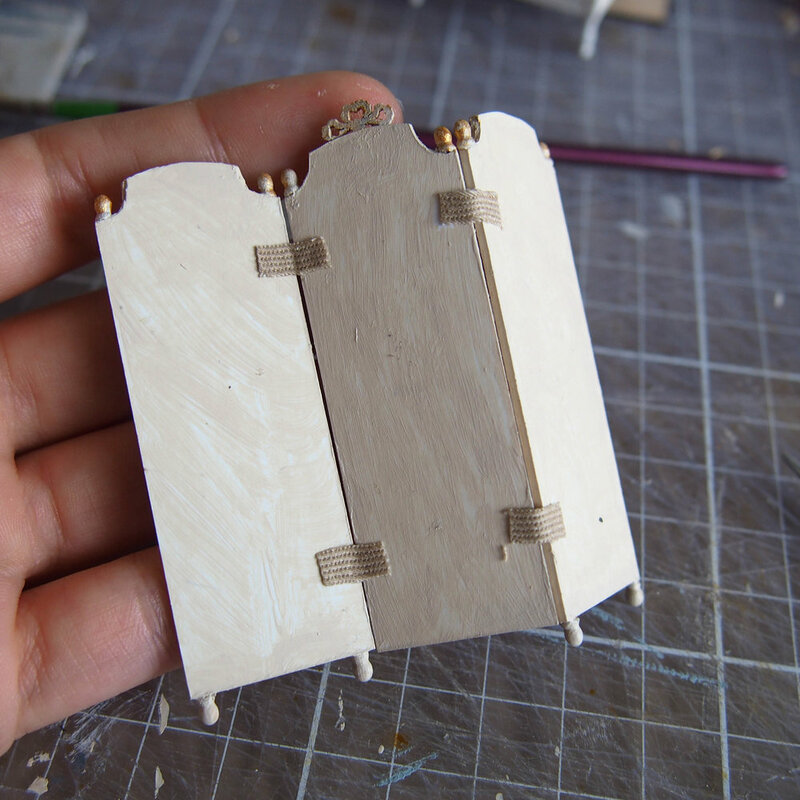 If you would like to make the screen in 1:12, double the measurements (including the wood and card thicknesses). 1. Start by cutting three panels from 2mm card in the size you want. For 1:24 I cut my panels at 22mm x 60mm. I cut four so I had a spare. 2. Line the edges of the panels with a frame. Make the frame with thin strips of 1mm bass wood or card. 3. Embellish your panels using whatever you have lying around. I had a spare card bow which I used. I made the feet of the screen with small turned wood knobs. 4. Paint your panels the colour you wish. No need to paint the centre as this will be covered with your decorative paper design. Download and print this image to use on your screen panels. 5. You must now stick your decorative patterned paper to your screen panels. you can Download the above image, or use your own to print and stick on. 6. 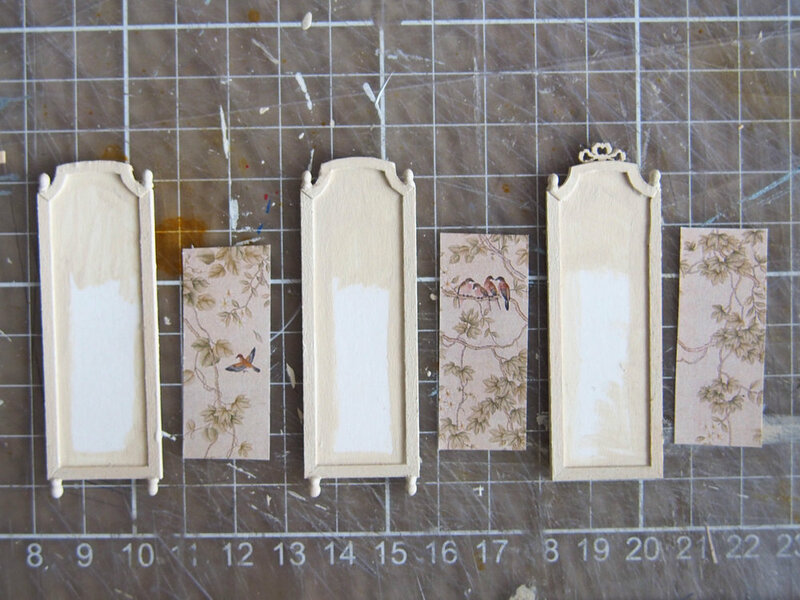 Add some gold embellishment to the decorative elements of your panels. 7. Finally, make the hinges for your screen by simply cutting four squares of fabric and glueing them on with PVA glue. Choose a colour which is in harmony with the colour of your screen, and you're finished.